"This is Halloween, this is Halloween.. Halloween! Halloween! Halloween! Halloween!" Boo! Do you remember watching Casper the Friendly Ghost? I use to love watching that movie, especially the one with Hilary Duff. What would this blog be without some Halloween themed nail art?!! So here are some simple Halloween nail design ideas. I hope you guys enjoy these looks be sure to tag me if you do any of them! I would love to see your designs. If you want a still tutorial on any of them just let me know and I will squeeze them in! I also have some nail looks I did last Halloween. Candy Corn Nails & Haunted House Nails. This is a fun look for people that like animated/cartoon looks. 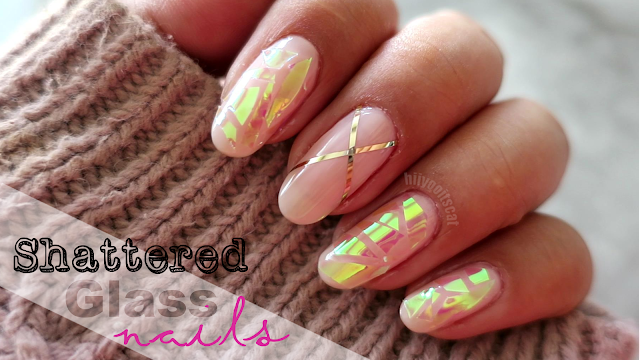 You can even skip the accent nail and just do the threading across all nails. This one is my favorite out of the three mainly because it is so simple and a bit different than what I would normally wear. If you do decide to do this look it looks much better on white nail polish. Since I was running low on white, I was only able to do an accent nail. Surprisingly, blowing through a straw for the splattered look is not as easy as it looks and it quite messy. This one is for those that want something simple but still Halloween themed.